Dianne Eilbeck joined Vintage Realty Company in 1998. Her portfolio consists of approximately 180,000 square feet of “Class A” Suburban Office Space. Dianne is the on-site manager of Pierremont Office Park. She is responsible for property management/leasing/lease renewals and construction management services for the property. She has 30 years property management experience. 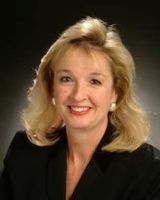 Prior to joining Vintage Realty Company, Dianne worked for Sealy & Company, Inc., and D & D Developments, Inc., where she worked at another suburban office property in the Shreveport area for twenty years. Dianne is involved in the Building Owners & Managers Association (BOMA) and is a member of the Louisiana Realtors Association.